Perranporth Beach is a long (three mile) stretch of golden sand that has some great waves for surfers. 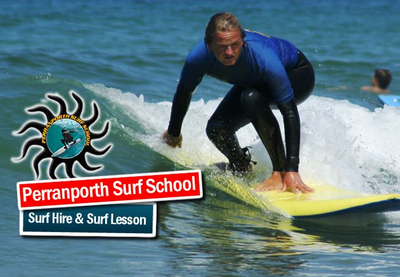 There are several srf schools in perranporth where you can learn to surf including the following. Located right on the beach, Perranporth Surf School offers fun and informative surf lessons for all abilities and ages of seven upwards. Packages include single lessons to week-long courses, family sessions and individual instruction.